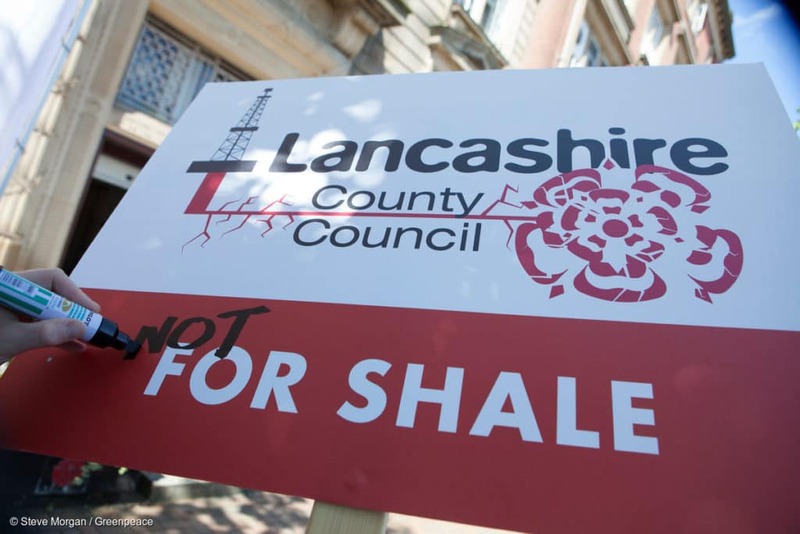 When fracking firm Cuadrilla was granted permission to frack for gas in Lancashire toward the end of last year, the company’s bosses probably hoped it would be the moment the anti-fracking movement gave up and fell silent. Instead, it’s only strengthened the resolve of local people. Since the start of the year, when Cuadrilla began moving equipment into their proposed drilling site, local residents have been there to resist each and every day — to remind Cuadrilla that they’ve got another thing coming if they think they can force fracking on a community that overwhelming rejects the industry. 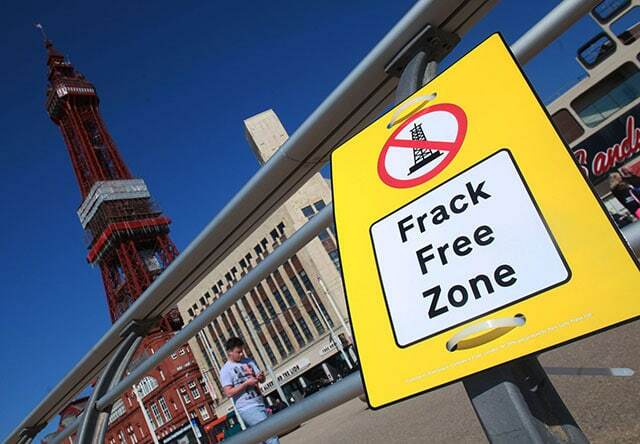 In this blog I interviewed Gill, from Greenpeace’s local volunteer group in Blackpool, to find out what’s been happening and more people can help support groups in Lancashire who are working hard to keep the fracking industry at bay. What’s going on? What have the Blackpool Greenpeace group been up to? Volunteers from Blackpool Greenpeace group have been going down to Cuadrilla’s fracking site almost daily. We’ve been handing out leaflets to people who pass by, and we’ve slow-walked lorries and trucks – a technique to hamper the flow of supplies that Cuadrilla need to prepare for fracking. We’ve also been taking pictures and filming what is going on, to continue in the Greenpeace tradition of ‘bearing witness’ to activities which could damage the environment and our climate. As well as what’s going on at the site, we’ve organised an awareness raising event at the site that was affected by the earth tremors during Cuadrilla’s fracking test of 2011. It’s been a busy time! How have Cuadrilla reacted to the protests? It’s been up and down. One day there was a barrier between the site and the protestors, and the protestors were standing in front of the barrier. The security guards then decided they wanted the barrier in the road. They started moving the barrier forward and therefore the protestors were pushed into the road. Luckily I had my phone and it was filmed! Because it was obvious what they had done the security personnel was fired. Things like this can make it a bit intimidating at times – if there are lots of police around the site to allow Cuadrilla to get their trucks in. But generally there is a good atmosphere amongst the protestors and slow-walkers! What’s the mood like, what are the local people planning? We believe what we are doing is still really important to let people know we are still there and not giving up. And it’s really important to let any people taking direct action know that they have support from people standing there with banners and cameras to make sure they are protected. The situation is so fluid and constantly changing – and what’s been really inspiring is that even though there are loads of diverse groups with different tactics, everybody is working together. We are constantly having to think one step ahead as we see the site being built – people are feeling determined not to let it happen. That’s what you feel when you are standing there looking at the site and in some ways it’s quite empowering. If you can make it to Blackpool, it’s really good to be here in person – if only for an afternoon. I know not all of Greenpeace supporters can make it to Lancashire though, so we’re encouraging people to continue to support us however they can. If you can’t make it to Blackpool, but live in Lancashire, one way to help is by writing to companies that are supplying Cuadrilla. Three companies – including a skip hire company and concrete supplier – have pulled out of supplying so far. If more companies do the same, it’ll cause further delays to Cuadrilla’s work. (Note: we’ll be adding instructions to our website on how to take part in this activity soon). It’s not just Lancashire that’s at risk of fracking, either. I know that across the country, Greenpeace groups and frack free groups have been working flat out to resist the fracking industry wherever it tries to drill. 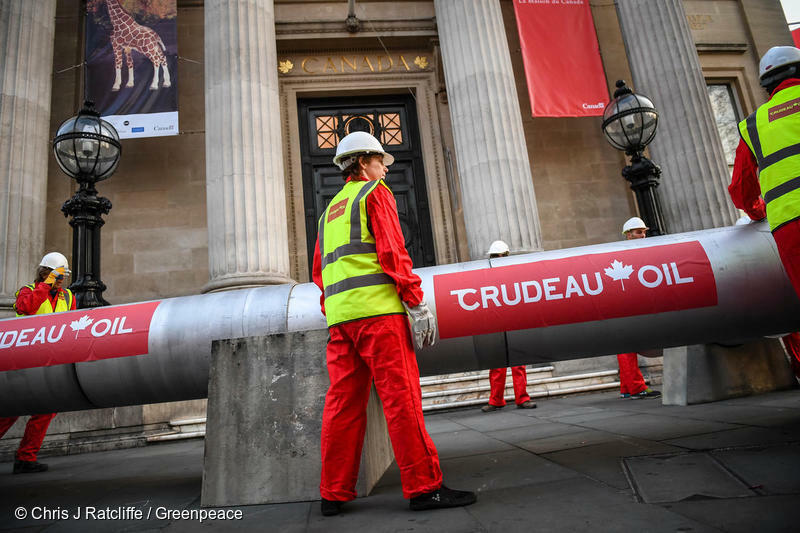 So a good start to anyone who wants to be part of this growing, nationwide movement of resistance would be to see if there’s a local Greenpeace group or frack free group close by – and then to get in touch.